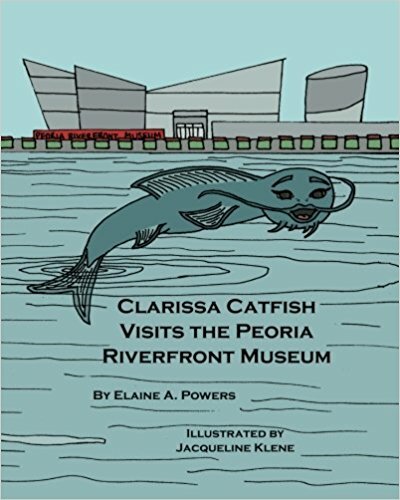 A flooding river takes Clarissa Catfish to the Peoria Riverfront Museum. She had thought exploring the Illinois River was exciting, but once she is taken inside the museum, the real adventure begins. Clarissa explores the exhibits and makes new friends–but will she escape the man who has dinner plans for her?